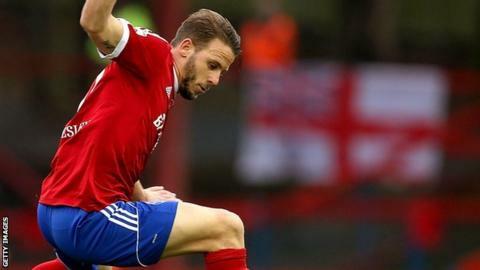 Aldershot edged out bottom club Kidderminster Harriers to claim their third National League win in a row. In a game of few clear-cut chances, Charlie Walker scored the winner shortly after half-time when his left-footed strike beat keeper Dean Snedker. Walker twice had further goals ruled out, first for a foul by team-mate Alfie Pavey and then after the 25-year-old striker was caught offside. But Harriers were unable to avoid slipping to a seventh successive loss. Harriers, still under the control of chief executive Colin Gordon, are now six points adrift at the foot of the table, 16 points from safety, while Aldershot move up a place to 13th. "We are pleased with the result. When you are not playing well and the other team are dominating for certain spells, you have to grind out results like that. "We've played in games when we've been the better team and not get results. Today we didn't play as well and got three points. "We dropped our standards in the first half and we didn't organise the way we should have. We sorted it out at half-time and the players reacted in the right way but getting that early goal. "Charlie Walker has scored 11 goals this season. His work-rate is great for the team and he deserved that goal on his performance." Match ends, Aldershot Town 1, Kidderminster Harriers 0. Second Half ends, Aldershot Town 1, Kidderminster Harriers 0. Attempt saved. Ross Lafayette (Aldershot Town) right footed shot from the centre of the box is saved. Hand ball by Omar Beckles (Aldershot Town). Attempt missed. Cheye Alexander (Aldershot Town) right footed shot from outside the box is too high. Attempt missed. Ben Whitfield (Kidderminster Harriers) right footed shot from outside the box is too high. Attempt blocked. Rhys Browne (Aldershot Town) right footed shot from the centre of the box is blocked. Substitution, Aldershot Town. Ross Lafayette replaces Alfie Pavey. Substitution, Kidderminster Harriers. Evan Garnett replaces Omari Patrick. Substitution, Kidderminster Harriers. Tyrone Williams replaces Jared Hodgkiss. Substitution, Aldershot Town. Jim Stevenson replaces Jake Gallagher. Attempt missed. Charlie Walker (Aldershot Town) left footed shot from outside the box misses to the right. Attempt missed. Arthur Gnahoua (Kidderminster Harriers) left footed shot from the left side of the box misses to the left. Attempt saved. Omar Beckles (Aldershot Town) header from the centre of the box is saved. Assisted by Dan Walker.